The great Dr. Charles Krauthammer, on the O'Reilly Factor show on the Fox News Channel Tuesday night, surprised me a little in his saying he wouldn't criticize the "bad deal" [which he called it] of president Obama releasing 5 top Taliban terrorists for Sgt Bowe Bergdahl [who at best might be called deserter Bowe Bergdahl]. Dr. Krauthammer said the West always comes out on the bad side of the deal in these exchanges. "They are all bad deals", said Dr. Krauthammer. Charles Krauthammer gave for example the Israeli exchange of imprisoned Palestinians for their Army Sgt. Galid Shalit. Charles said, "no one doubts the resolve of Israel in their fight against terrorism, yet they released 1000 prisoners to get back one man". But isn't that the point, Charles? There is not anyone who doubts Prime Minister Bibi Netanyahu and Israel's resolve to do whatever it takes to fight terrorists and defeat them totally. There are millions of Americans [if not a majority] who doubt this president's resolve in the war against terrorism. To understand that concern about president Obama's resolve, please read my post: "President Obama Hides Islamic Link To Terrorism." I don't think I'm alone to feel, that if you won't even identify the terrorists for what they are, then how can you really be serious in fighting them. Now this post is not to argue for or against the release by president Obama, but to show the two major differences of how these deals went down. One difference occurred before the release and one difference occurred after the release. President Obama completed the deal without informing the American people, without even consulting Congress. It was done in the dead of the night only to let the congress and citizens know after the deal had culminated. Quite a difference in what Israel did. 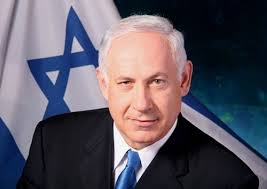 In the Israeli swap, Prime Minister announced ahead of time of the deal. From the Christian Science Monitor: "Prime Minister Benjamin Netanyahu announced tonight that Israel and Hamas have agreed to an historic prisoner swap deal that will release Sgt Gilad Shalit, who has been held for five years in the Gaza Strip, in return for some 1,000 Palestinian prisoners." "Mr. Netanyahu said that if everything goes according to plan, Mr. Shalit would return home in the coming days. 'Today I am bringing the cabinet a proposal that will bring Gilad home healthy and in one piece,' he said." Not only was the Israeli cabinet and Israeli people informed of the deal ahead of time, the Supreme Court of Israel had to rule on objections to the deal. From CNN: "Late Monday, the Israeli Supreme Court rejected appeals against the release of prisoners in exchange for captured Israeli soldier Gilad Shalit." What did president Obama do after the release of the 5 Taliban terrorists to Qatar? His administration celebrated it, like this was some great victory. The very next day, the president had a photo op at the Rose Garden of the White House with the parents of their released son. The optics of that was so unsettling, so political, that I wouldn't have been surprised at a fist pump in the air by President Obama at the end of it. Secretary of Defense Hagel and NSA secretary [oh, God help us], Susan Rice, went on the Sunday news shows calling this a "joyous", glorious day for America. The obvious attempt to turn this into some great political victory for President Obama [which in my opinion what this all was about in the first place] sickened me. The good thing is, this time it wasn't bought by the American people. In fact, I bet the Obama administration was shocked at the reaction. I truly believe they were expecting the same reaction by the American people as the joyous reaction at the killing of Osama Bin Laden. In fact, I wouldn't be surprised if they had videotape ready to go of Obama in the situation room watching in real time the release of Bowe Bengahl, if the reaction had been different to what they expected. Now, what a difference in the reaction of PM Netanyahu and the Israeli government in their release of prisoners to get back their true hero, Sgt Galid Shalit. No, you didn't see any high fiving or fist pumps, you saw a solemn, almost apologetic tone for having to complete such a deal. From the CNN web site: "Prime Minister Benjamin Netanyahu [personally] wrote to the families of terror victims to say he understood their pain. "you were in my thoughts during the many uncertainties that have accompanied me in the negotiations," he said in the letter. "The decision regarding the release of Gilad Shalit is one of the hardest I have taken ... I understand the difficulty in digesting that these villains who committed these crimes against your loved ones will not be paying the full price that they deserve to," Netanyahu wrote. But, he said: "The state of Israel does not abandon its soldiers and its citizens." The Israeli government was truly hurt to their bone that they had to release those prisoners, many of whom were responsible for Israeli's deaths. The Obama administration relished and celebrated their release of Taliban terrorists who were responsible for Americans deaths. Quite a difference. Of course, quite a difference between a true patriotic leader of a great country and a leaderless egotist of another great country. The White House really picked the wrong guy to save. The staff either did not do their research or they are way out of touch with a large segment of the American people. Bergdahl is no John McCain. Reading the various reports, it seems that the White House is trying to turn a deserter into a national hero, and the army is complicit. Politics before honor. I agree totally Eblinick. Thanks for your comments. 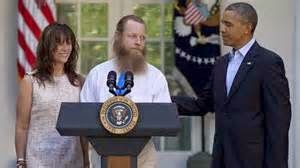 Am I too cynical to actually wonder if this prisoner was a true warrior that was captured that Obama would NOT have done this?? No brother, that is not a cynical question to ask it is a reasonable one with this president's actions.